Off to Hawaii to research the coolest stuff ever. Back in a few days. Wow! That is a beautiful location to do research in! Have fun! I am a moderator for a book club at Goodreads, Fantasy Aficionados, and we are about to start reading The Hundred Thousand Kingdoms on March 1st. Do you have any book club questions that could aid in discussion? If you do, could you point me in that direction? I would be very grateful! And congratulations on your nomination for the Nebula Award! Slightly envious. Remember to not take any earth, rocks, sand from the islands, Pele frowns on this. I’ve been to Mt. 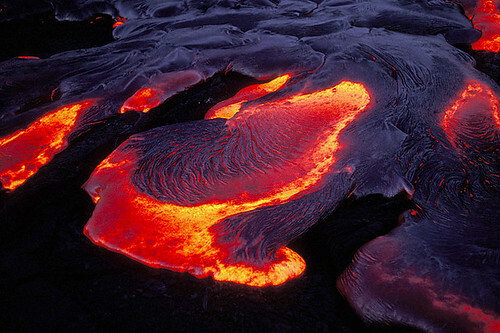 Kilauea and it’s amazing! We parked and went on foot so we weren’t allowed to go very far (but this was back in 2000). I’ll never forget seeing the steam rising from the craters and the rotten egg smell of sulfur wasn’t too overwhelming lol, and the smooth black rock-hard lava. It’s an awesome experience.